Early in 1945 the British Liberation Army (BLA), who had battled their way from the Normandy beaches to the borders of Germany, embarked on Operation Eclipse. 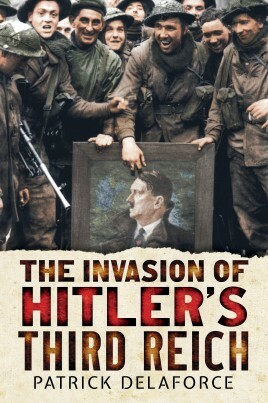 This was the 'end-game' of the Second World War, the unique military campaign to invade and conquer Hitler's Third Reich and liberate 20 million enslaved nationals from Holland, Denmark and Norway; to free multitudes of displaced persons (DPs) or slaves; and inter alia to free the survivors of twenty concentration camps and many Allied POW camps. The Allied Military Government (AMG) brought law and order to 23 million German nationals in the allocated British zone of occupation (BAOR) and appropriate retribution too. A thrilling race with Stalin's Red Army ensued to reach the Baltic. A matter of a few hours and Denmark and Norway would have been swept into the evil Soviet empire. The author fought vigorously as a junior RHA officer in the five great river battles - Rhine, Dortmund-Ems, Weser, Aller and the Elbe. Soon after VE Day he was the junior officer in War Crimes Tribunals in Hamburg and Oldenburg and witnessed Mr Alfred Pierrepoint administering the hanging of prison camp guards.